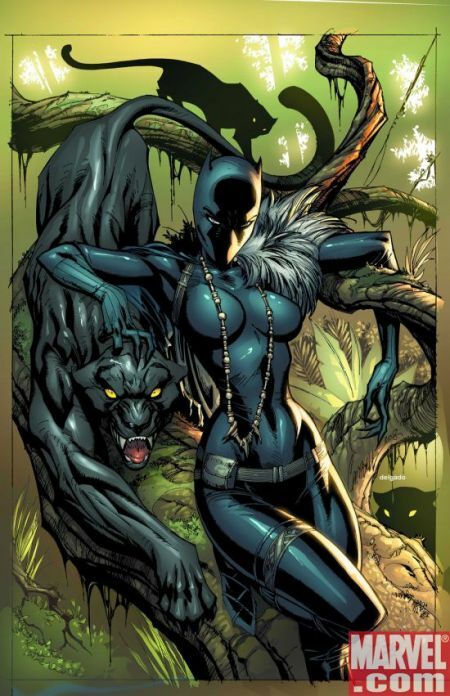 The Black Panther is caught in a trap set by Dr. Doom and Namor the Submariner. He is severely hurt and beaten. His bodyguards are possibly dead. What else can go wrong? Well the elders of Wakanda are not interested in finding a cure for the Black Panther. They want to replace him quickly. 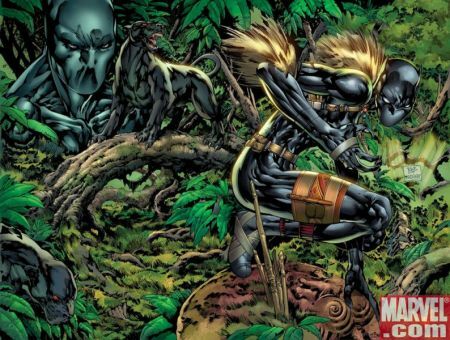 Who will be the new Black Panther that will protect Wakanda? Only Marvel Comics knows at this point. I’m not sure why a new series was needed, if the writer stays the same. He does understand the history of the character, but it seems as if he were trying to make this series more approachable to a new generation of readers. I have to admit that the whole storyline about the zombies is what put me off the previous incarnation of this series. Replacement Black Panthers have been tried a lot in recent years, so I’m not sure if I even want to read another series with this theme as its thrust. By nthe way, I thought that Dr. Doom was in captivity in the United States after having killed the future Invisible Women in recent Fantastic Four issues? What the hell is he doing here? As I’m uncertain about why I should be reading this series, the art by Lashley doesn’t help. He’s one of those artists that draws women in mysterious ways. I haven’t seen women like that in real life yet. There’s a lot of cross hatching which means he’s channelling Jim Lee.